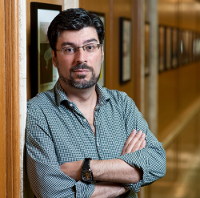 Professor Amaral has published over a hundred scientific peer-reviewed papers in leading scientific journals. Those papers have been cited in excess of 7 thousand times; ten having accumulated more than 200 citations each. His research has been featured in numerous media sources, both in the US and abroad. Professor Amaral has received a CAREER award from the National Institutes of Health in 2003, was named to the 2006 class of Distinguished Young Scholars in Medical Research by the W. M. Keck Foundation, and has been selected as an Earlier Career Scientist by the Howard Hughes Medical Institute.